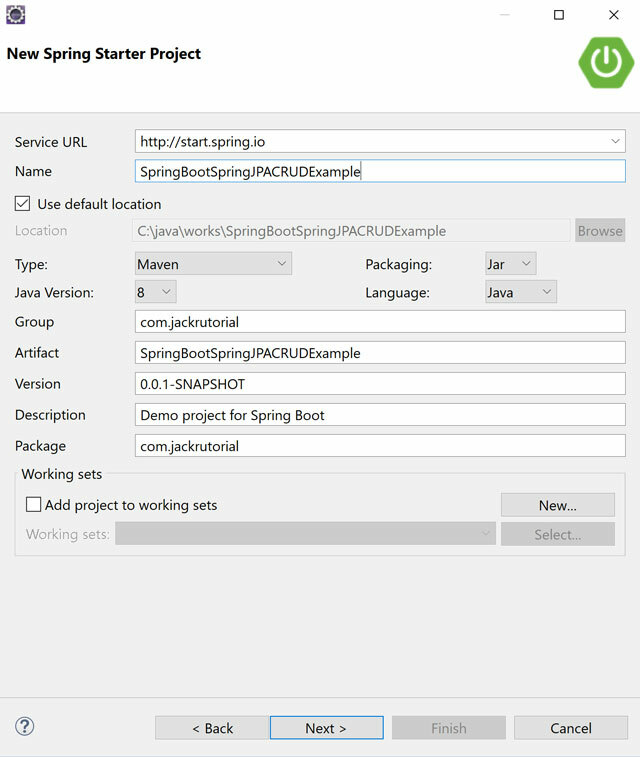 In this tutorial, we show you how to develop a Web application CRUD example using Spring Boot 2.1.0, Spring MVC, Spring JPA, Hibernate and MySQL as database. We will add the dependencies for Bootstrap 4.0.0 and jQuery 3.0.0 Web jars. 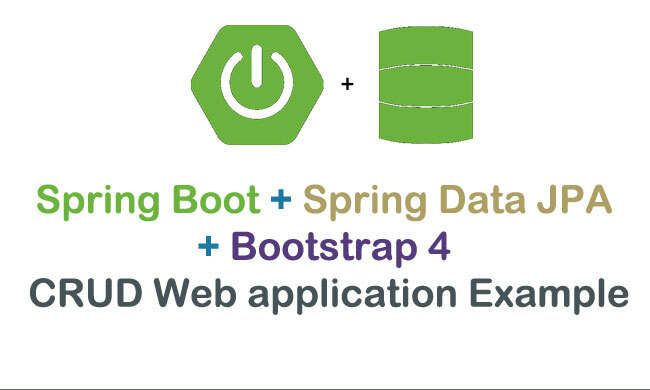 We use Spring Tool Suite to create Spring Boot Maven Project for this tutorials. Follow the steps mentioned below to develop the Web Application. Review the following screenshot shows structure of the project. id: Primary Key with Auto Increment. title: The title of the Article. category: The category of the Article. 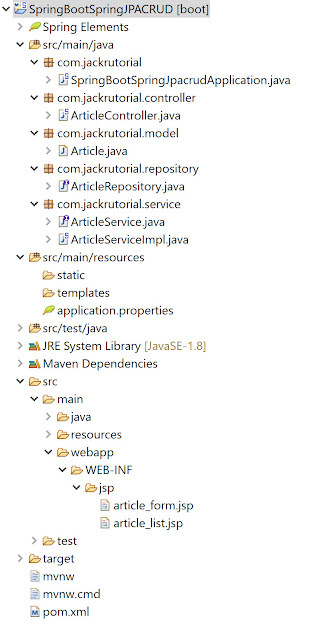 Create a ArticleServiceImpl class implements ArticleService interface under com.jackrutorial.service package with the following contents. Open application.properties file and add the following properties to it. 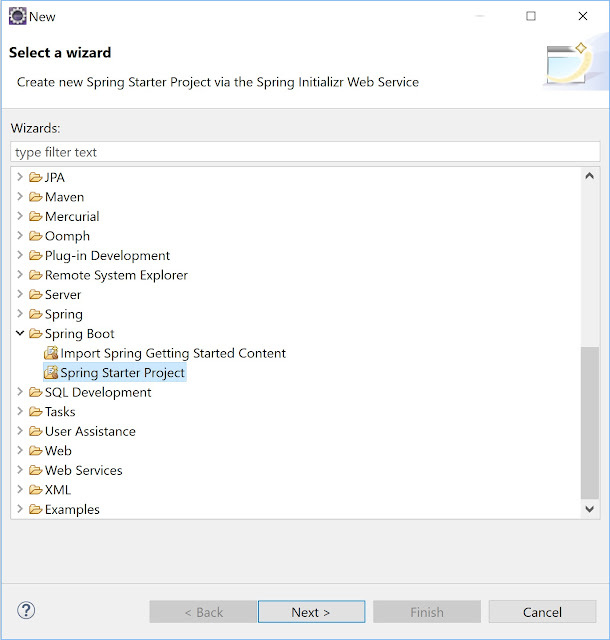 Create jsp folder under src\main\webapp\WEB-INF\ folder. We will include the tags library into our JSP page. 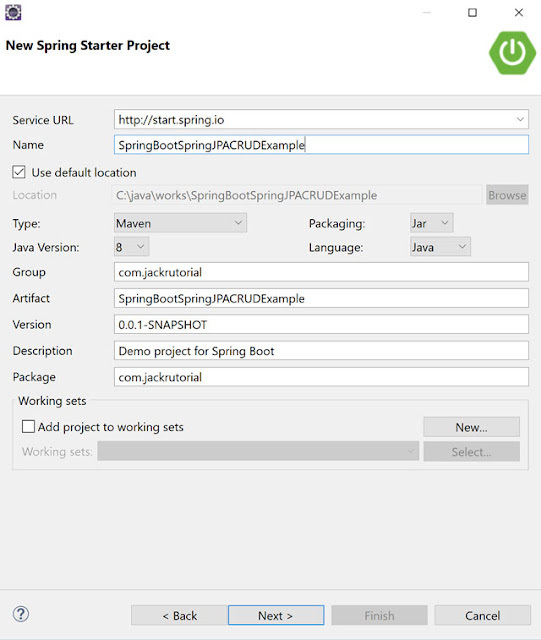 The spring taglib, form taglib and JSTL taglib. Create article_list.jsp and article_form.jsp file under src\main\webapp\WEB-INF\jsp\ folder and write the following code in it. select Run As -> Maven clean. select Run As -> Maven install. 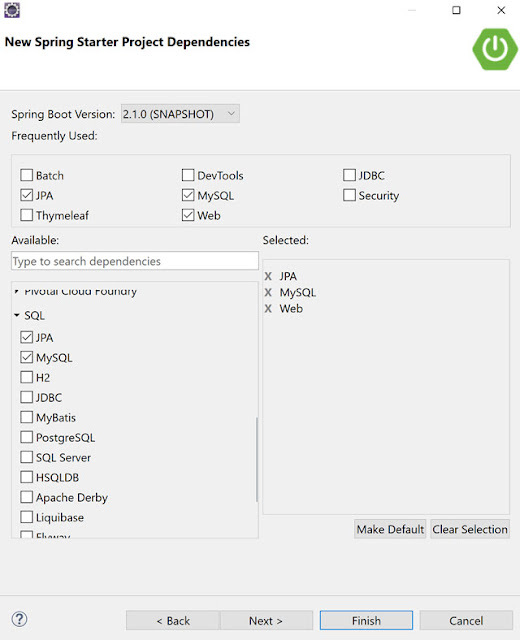 select Run As -> Spring Boot App. Type the following URLs in browser's address bar to open the Article List page. Type the following URLs in browser's address bar to open the Add New Article page. Type the following URLs in browser's address bar to open the Update Article page.